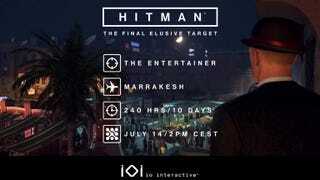 Hitman’s next Elusive Target is The Entertainer, coming to the Bonus Mission of Marrakesh for 10 days starting July 14. The blog post says it’s “the final Elusive Target to be released for the first season of Hitman,” so we’ll see what happens next. RIP, Targets (Get it? Ah, you get it...).